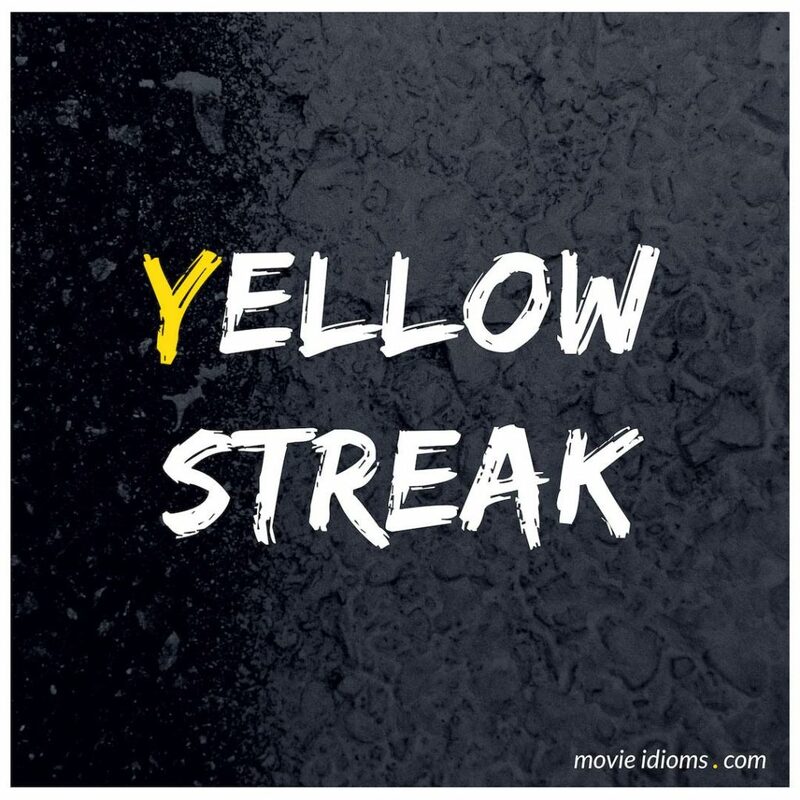 What does yellow streak mean? Warden: And remember, this prison does not give a man a yellow streak. But if he has one, it brings it out. Mike Barnes: I don’t know. It smells like yellow streak. Daniel Larusso: Hey! Okay! This isn’t funny anymore. Mike Barnes: Sign the application yet? General Savage: Rights, Gately? You’ve got a right to explain to General Pritchard cowardice, desertion of your post, a yellow streak a mile wide! And maybe he can explain it to your father so that they’ll both be proud of you! You can tell him right now.